While following my normal lunchtime ritual (reading trade magazines while eating my sandwich), something occurred to me. 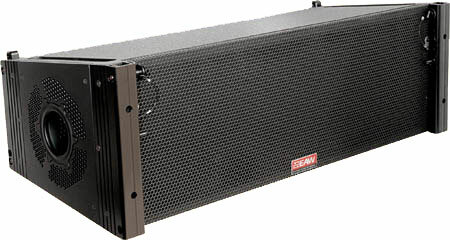 I was reading an article about the new EAW KF740. As I read it, I started thinking about our current PA, made up of KF 750s and 755s. It’s a system that I’ve been advocating changing since I got here, but not because it’s not a good PA. Then as I saw a story about a church that installed an SD-8, I got thinking about our current FOH console, the PM-5D, which I’m also advocating changing to an SD-8. I want to make that change not because the PM-5D is not a good console. But it’s not the right console for us. Same with our PA; the 750s actually sound pretty good about 80 feet out on the balcony. However, since only about 100 of the 1500 people that come on a weekend sit in the balcony, the system is not the right PA for us. I could say the same with a lot of the equipment we have. It may be good equipment, but it’s not the right equipment. And that can be a tough spot to be in as a TD. One of the harder things we as TDs do is lobby for funds to improve our technical systems. It’s fairly easy when there is a glaring problem with a system; having one good camera and one that’s 20 years old and looks terrible, for example. It’s easy to demonstrate why we need to upgrade that camera. However, to say we have this FOH console, that is arguably the standard in many touring rigs, but it needs to be changed for something else is hard. As we discussed in our webinar the other night, it’s extremely important that you fully understand the mission and vision of your church, and understand and be able to articulate how the technical ministry fits into that before you start proposing changes in equipment. For example, I have a pretty well thought-out proposal for why we need to change out FOH and Monitor consoles. When I showed it to my boss, he said it makes total sense and we’ll start working on getting the funds in place. The PA is a little harder. First, it makes sound, and for many, that’s good enough. Second, we have no clear way to pay for it, as we do with the FOH swap. Harder still is that when the system was bought, people were told it was a great system. And it’s really not bad, it’s just the wrong one. It doesn’t provide even coverage, and we have significant problems in the front half of the auditorium getting it to sound good. But it makes sound. Again, it’s going to take a well thought-out proposal to raise the money for the new system. I’ll have to come up with clearly defined and attainable goals and be able to demonstrate them before we can get the money. This point goes to show why it’s so important to buy the right gear in the first place. I’ve seen many churches run out and buy the “best” gear they can find, only to find out later that it really doesn’t work for them. Later, they have to justify spending the money again. Don’t ever let a dealer or consultant tell you, “This is the best insert piece of gear here on the market. We installed 50 of them last year.” Because you know what? I don’t care. I want to know what the best piece of equipment is for our church. That’s all that matters. I sometimes feel like a broken record on this subject, but I keep seeing churches repeat the same mistakes over and over again. Do your research; talk to people; try the equipment out. Make sure you buy the right gear the first time. Then, you won’t have to be replacing good equipment with the right equipment.